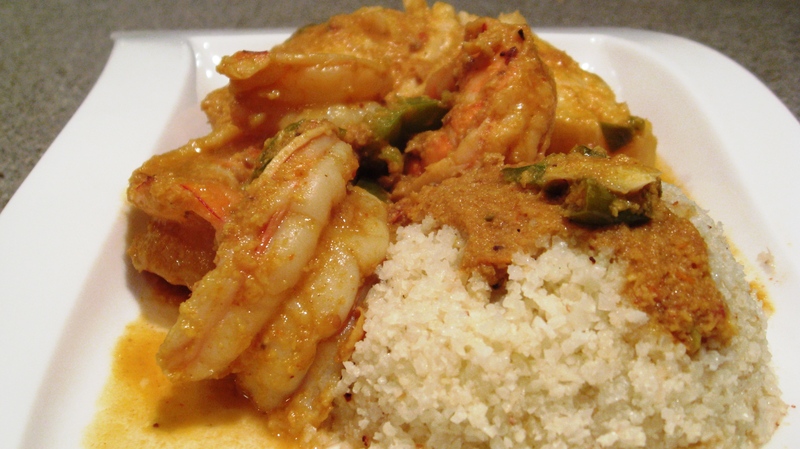 As promised we are sharing our Paleo Goan Fish and Shrimp Curry with you. Henry and I made it together and it was not only wonderful to cook together, as always, but more over the taste of this dish was authentic and out of this world delicious. The key is of course fresh ingredients and made from scratch. This recipe serves 4 and we are showing it here with our Cauliflower rice. Tamarind Preparation is key. Put the onion, tomato, coconut, ginger, garlic, dry red chillies, all the spices and the tamarind into a food processor and grind well to make a smooth paste (masala). Heat a deep pan on a medium flame, add the coconut oil and heat. Add the green chillies, masala paste you just ground to the oil and fry for 5 minutes. Now add the 2 cups of water (add more water if you would like more gravy) and bring the gravy to a boil. Reduce the flame to a simmer and cook for 10 minutes. Add salt to taste. 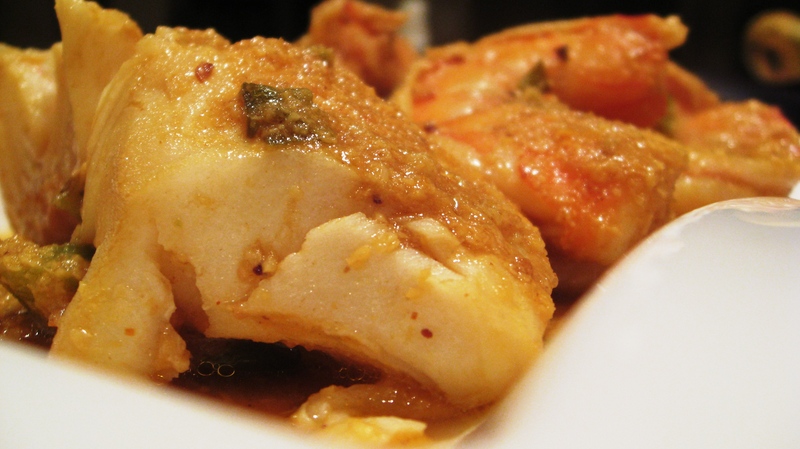 Gently add the pieces of fish to the gravy and cook for 10 more minutes. Do not cover the pan at any time during the cooking. Turn off the stove and serve immediately with cauliflower rice. I would like to subscribe to your posts via email. Thanks!